Everybody loves elotes. 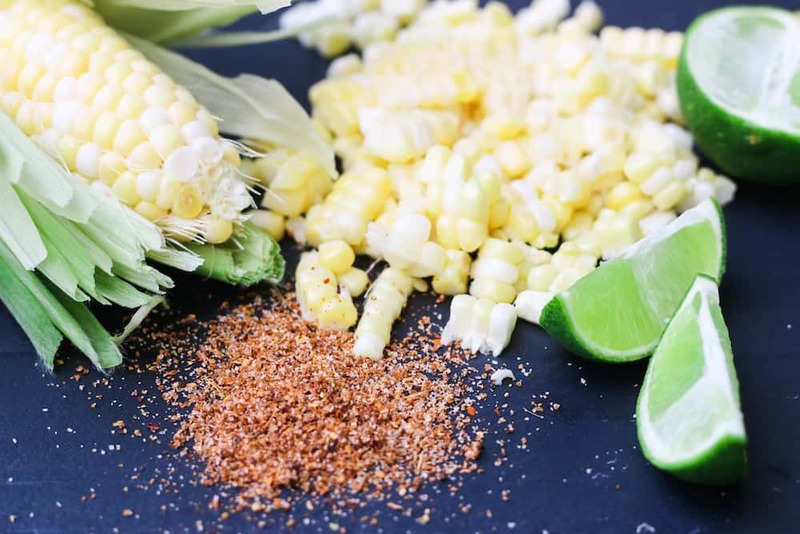 If you haven’t had Mexican sweet corn grilled and loaded up with chili, lime, and cheese you need to get on it! It’s amazing! I make a salad version of it, the recipe is here. 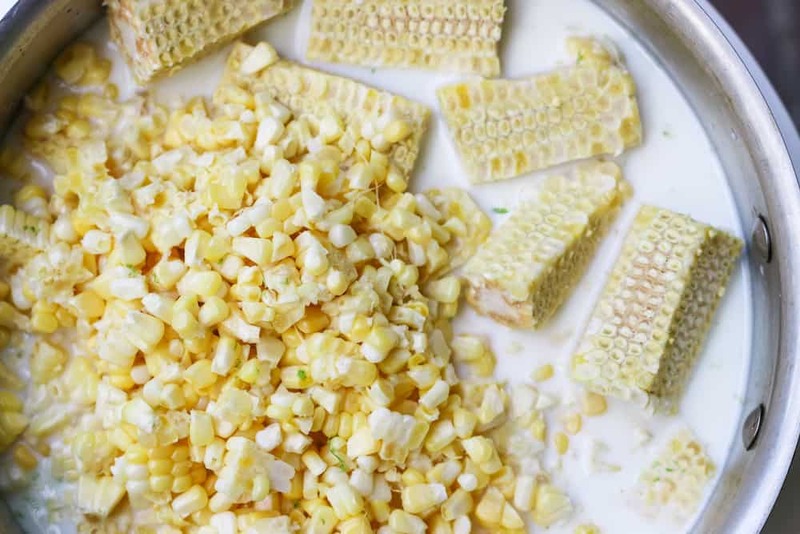 September is pretty much the sweetest time to grab some fresh sweet corn, so do that, and make these pops for the final hot days ahead. It takes a little time, but is so worth it. 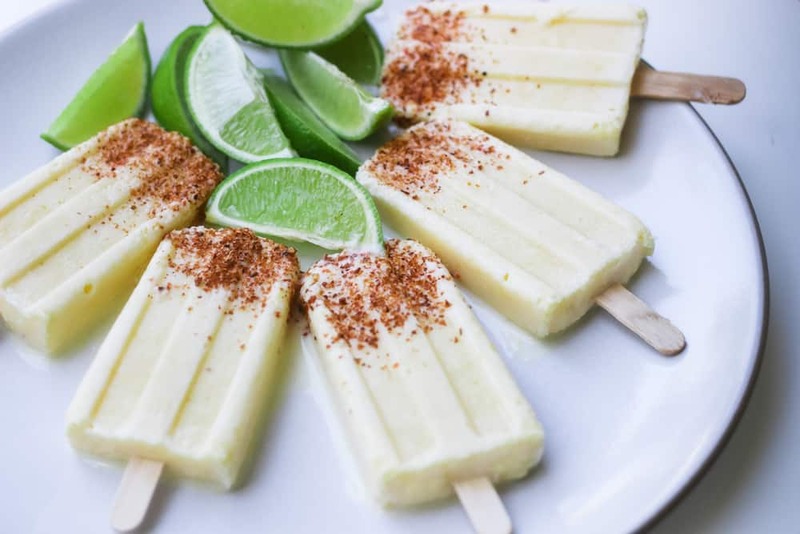 I make a simple sweet corn popsicle often, and even though it sounds a bit odd, it is one of my most favorite pop recipes (and as you can see here, I love pop recipes). This time around I added some lime zest and juice, and topped them off with some Tajin, which is a lime-chili-salt seasoning we find in LA (the best is fruit vendors who slice your fruit and generously sprinkle it with Tajin right on the street on a hot summer afternoon). All in all this corn popsicle is a little sweet, a little salty, a little spicy, and a lot amazing. These take a little time, but are simple to master. First gather your ingredients.. This is the key step, steeping the corn. 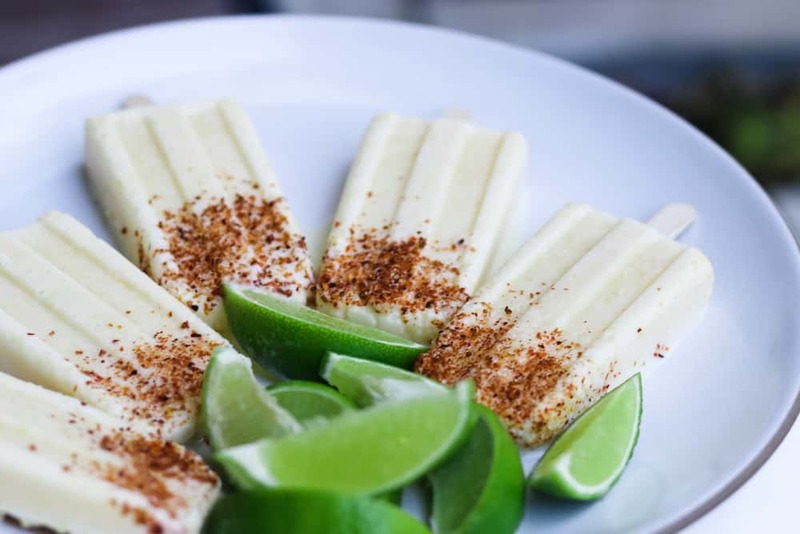 A sweet corn popsicle with lime and a hint of spice, like elotes but more refreshing! Husk your corn and slice the kernels off. Break 2 of the cobs into 3-4 pieces each. Cook the corn, the core bits, milk, sugar, and lime zest and in a saucepan over medium low heat (you don’t want your milk to boil over), stirring once in a while, until the corn is tender (about 20 minutes or so). Turn off the heat, cover, and steep for 30 more minutes. This will extract more corn goodness into your mixture, while also letting it come to room temperature. Remove the corn cobs and toss them. Blend the mixture with an immersion blender, leaving some of the kernels whole. You don’t want too much whole corn in there (it’s kinda weird to chew your popsicle), but a few pieces add great texture. Stir in the half and half, salt, vanilla, and lime juice. Move mixture to the refrigerator to chill completely. Once chilled, pour into molds. This is our favorite pop mold: Norpro Frozen Ice Pop Maker. Soak your popsicle sticks in warm water. After an hour in the freezer, insert popsicle sticks. Freeze for four to six hours, but preferably overnight. Remove the pops from molds (sometimes it helps to dip the base of the mold into warm water). 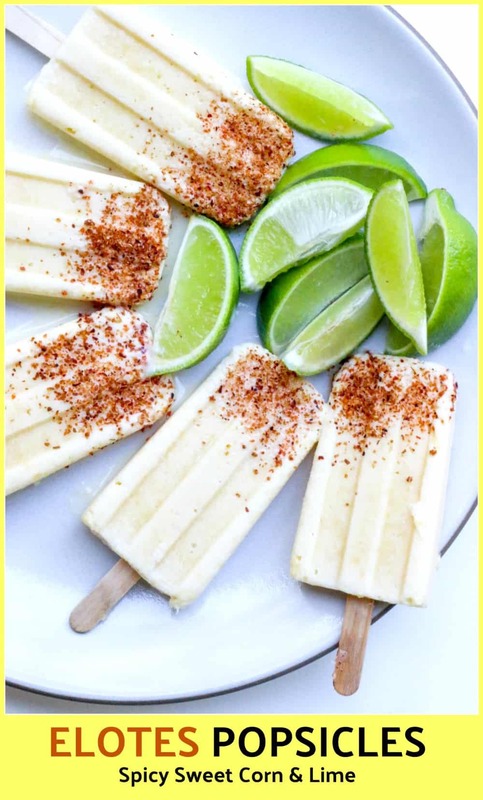 Sprinkle the pops with tajin. Get your spicy, sweet end-of-summer fix!